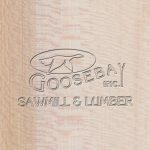 Sycamore - Goosebay Sawmill and Lumber, Inc.
Sycamore is also known as “buttonwood.” The heartwood of sycamore is light to dark brown; the sapwood is white to light yellow and is 2 to 3 inches wide. It is finely textured with an interlocked grain. The wood is moderately hard, heavy and stiff. It has strength in bending, holding its shape after steaming. 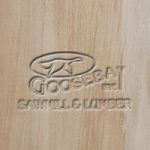 It glues well and due to its interlocked grain it is resistant to splitting. It machines well but requires high speed cutter heads to avoid chipping. Sycamore is used for furniture, boxes (particularly for small food containers), pallets, flooring, handles and butcher blocks. It is also made into veneer.